"The" book of 2006 may not be the easiest or the prettiest book of the year. 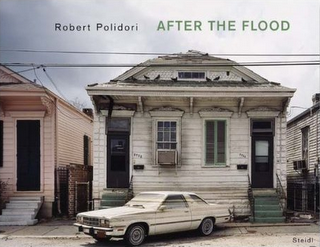 Published by Steidl, photographer Robert Polidori's massive, detailed documentary investigation of the effects of wind, floods, and bureaucratic foul-up on America's most distinctively beautiful city is meticulous, strangely attractive, and fascinating page after page. One of the great problems of Katrina is the formidable disjunct between our images on television and the devastation people report seeing in person. Robert Polidori has created a partial antidote to the disjunct, in pictures of "terrible beauty" that people will still be looking at with sober fascination a century from now. 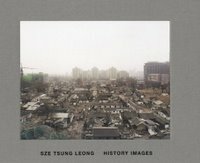 History Images by Sze Tsung Leong Photographers have always found significant motivation in recording things that are becoming rare because of change. Our world is changing rapidly now, thanks to burgeoning human population, international shipping and communication, and the globalized economy. Leong has recorded the razing of traditional buildings and neighborhoods in the Chinese cities of Beijing, Shanghai, Chongqing, Nanjing, Pingyao and Xiamen to make way for massive new construction, and his sober views of these nearly fantastical scenes is thought-provoking, distressing, fraught with awe. Looking East by Steve McCurry These are not new portraits, mostly. They've been seen and celebrated in numerous outlets and venues over recent years, from the cover of National Geographic to art galleries. But this book may be the best way to own and enjoy a selection of them for yourself. The large size works beautifully and the reproductions seem almost as rich and deep as oil paintings. 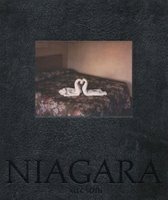 This is one of those books that's more than the sum of its parts, a nice object to own and a great way to enjoy this outstanding work. I picked up the McCurry book after a previous TOP mention, and I agree it's a real treat. It should also be mentioned that the price (on Amazon, at least) is a great one for the size and quantity of the work. I'll point out a nice article (and a gallery of images) concerning Alec's Niagra project in the Feb 2006 issue of the Digital Journalist. along with TOP and joel colberg's "conscientious" http://www.jmcolberg.com/weblog/ it's one of the best photo-related sites, and best blogs, out there.